Jane Steward, manager of Storyton Hall, where she lives with her family and “family of choice”, runs into a situation when a skelton is found while breaking ground on the new spa she is creating. And with that discovery, a mystery of epic proportions begins. The Rare Books group is coming in for their yearly meeting and Jane hopes they can help figure out why an old, deteriorated book was buried with the body, and what its connection to Storyton Hall is. 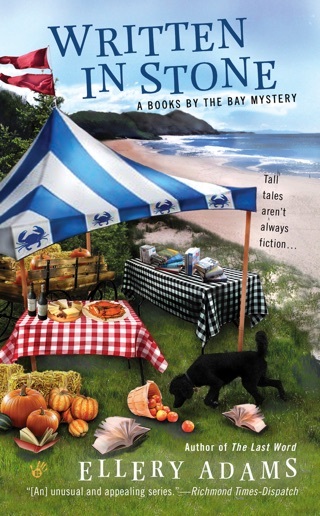 As the mystery broadens to include another murder, Jane’s way of life is wrapped in the clues that could solve the mystery, or become part of it. Storyton Hall is simultaneously hosting a Rare Book Conference and breaking ground on luxurious spa addition to the resort. While digging ground the crew unearths a skeleton that was buried with a book. In hopes of finding a clue to why the skeleton and the book were buried on the property Jane and the Fin’s enlist the help of some of the Rare Book guest. While viewing the book one of the guests suddenly dies. Are the two mysteries related somehow? I loved, loved loved this book. 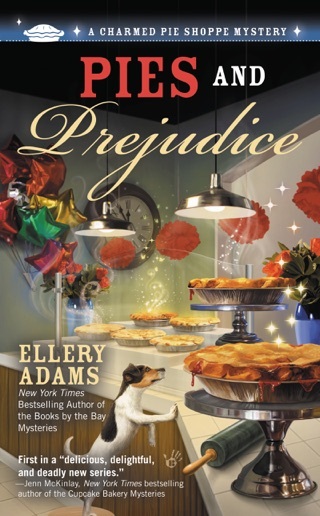 Author Ellery Adams is a gifted storyteller. This is only my 2nd book in the series, although this is the 4th book, and is fast becoming one of my favorite series. The book grabbed me from the beginning and never let go. Both mysteries (one from the past and one from the present) are full of twist and turns until the big reveal. Usually, I have an idea of who the murder is and why they committed the murder but I was completely surprised at who the killer was and why. Jane, her twin sons, family, friends, and the Fins are well-developed and complex characters that are very enjoyable to read about. Almost like reading about your friends and family. I also really love this setting. Storyton Hall would be my idea of a great vacation spot, well maybe minus the murders unless it’s a murder mystery weekend. I would definitely recommend this book to all mystery lovers. I received this book in hopes I would give a review. All thoughts and opinions are my own and have no way been influenced. 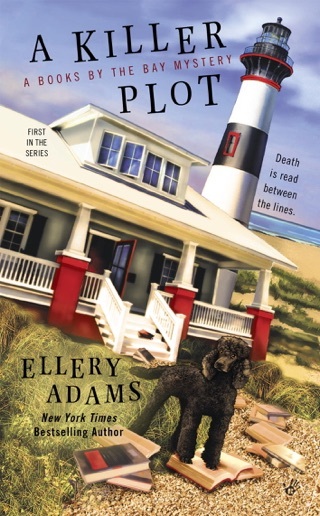 Murder in the Locked Library by Ellery Adams is the fourth tale in A Book Retreat Mystery series. Jane Steward is excited that the construction is beginning on the Walt Whitman Spa. The groundbreaking ceremony is scheduled for the next evening. After the digging begins, it looks like the festivities will have to be postponed. Bones were uncovered by the excavator along with a padlocked box and a farthing. Inside the box is the remains of a badly deteriorated book. It so happens that the Robert Harley Rare Book Society is attending a conference at the Storyton Hall and they are happy to help discern the books title. Bart Baylor identifies the book and then expires in the Henry James library. 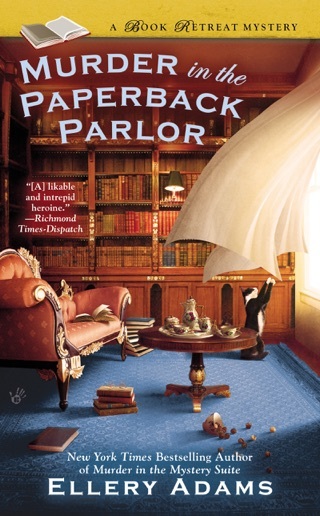 Jane, with the aid of her trusted, employees delves into the lives of the members of the Rare Book Society to pinpoint the culprit before the conference ends. How does the skeleton relate to Bart’s death? Jane is also worried about Edwin Alcott. There has been limited communication and the recent postcards people have been receiving seem unusually chatty (for Edwin). As the investigation into Bart’s murder heats up, her concerns about Edwin will have to take a backseat. Time is of the essence. They need to work quickly or something very precious could be lost. 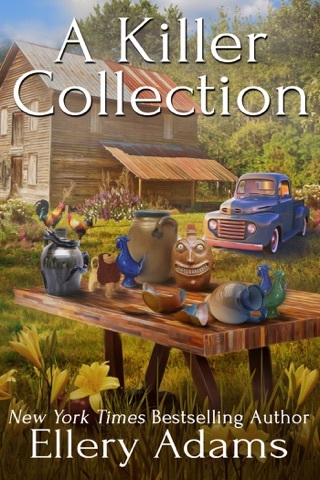 I love the concept for A Book Retreat Mystery series. As a booklover, I would love to visit (let’s face it—live at) Storyton Hall. 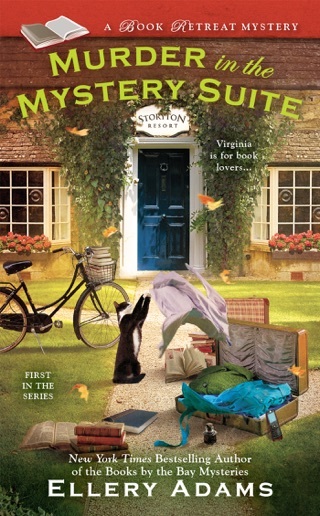 If you are new to the series, I suggest starting with Murder in the Mystery Suite. There is more to Storyton Hall than a beautiful book themed inn. Jane is the latest Guardian who safeguards a hidden library filled with priceless (and rare) books and manuscripts. Jane’s role and that of her staff (the Fins) is explained in the first book. 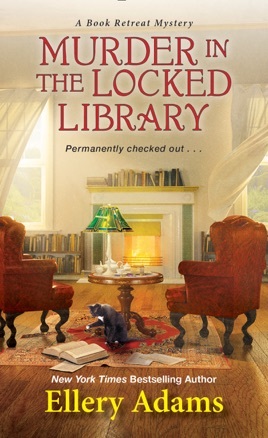 Murder in the Locked Library is well-written, but it does have a slower pace. I did not mind the pace because the story drew me in from the very beginning. Storyton Hall with its beautiful book themed rooms were brought to life for me courtesy of the author’s descriptions. The characters are established and engaging. There is a cast of regular characters that include Mr. Sinclair, Mr. Butterworth, Hem and Fitz (Jane’s twin boys), and the Cover Girls (Jane’s friends which make up the female book club). I like the boys are portrayed as mischievous and curious. Jane loves them dearly, but she does get frustrated with them at times (which is realistic). I like how the three storylines come together in the end. The mystery was compelling and complex. I do wish, though, that it had been harder to identify the guilty party. Two little pieces of information gave it away to me (this is the only weak part of the book). The why did not become apparent until much later in the book. I am glad that the sheriff works with Jane and her group on the investigation. They have resources that are not available to the local police. At the end of Murder in the Locked Library, we get a glimpse of what will be happening in the next A Book Retreat Mystery (which I am eager to read). My rating for Murder in the Locked Library is 4.5 out of 5 stars.